Melrose Avenue has some of the best shops in LA. We didn’t have a lot of time during our visit in West Hollywood. However we would spend all day there, if we had more time. 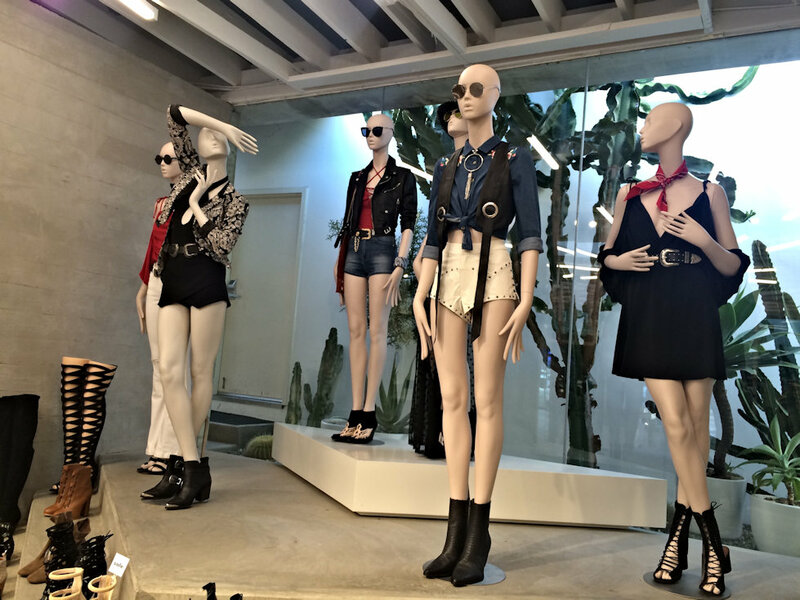 The House Of Devour is the new store on Melrose Ave, which was opened in 2015 (October 16th). In this unique boutique you can find a mix of contemporary fashion & accessories which include the Glynneth B Jewelry Collections. Sophia Amoruso is the founder of Nasty Gal, which was was launched in 2006. 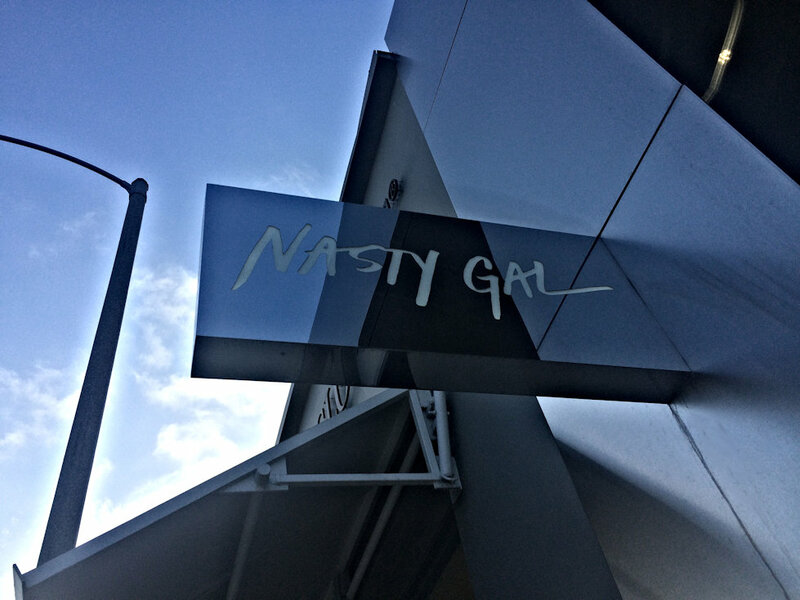 In Los Angeles you can find Nasty Gal in Hollywood and in Santa Monica. Stay connected with the World Of Fashion! Sophia Amoruso is also the author of @GirlBoss. 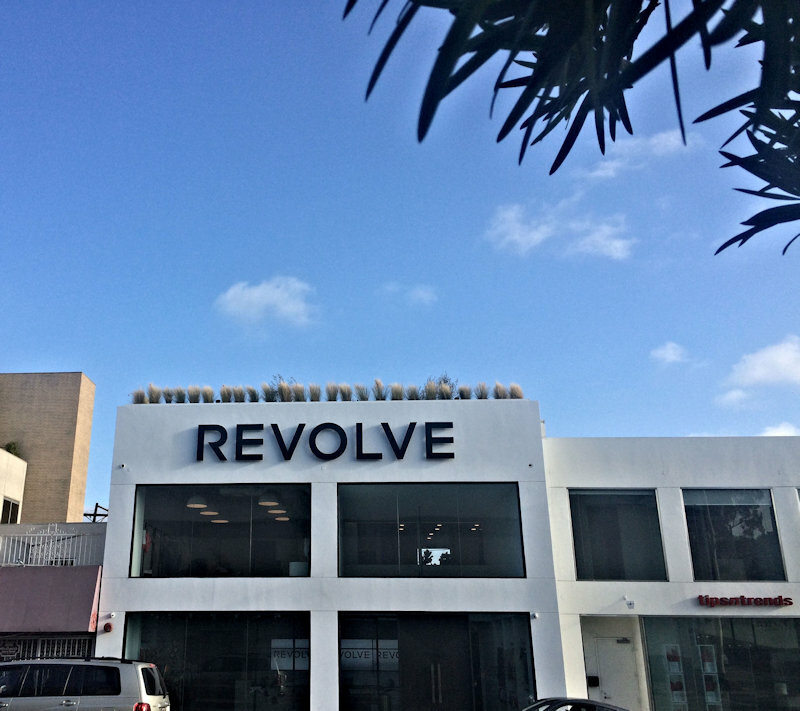 REVOLVE.com – is a virtual home where you can find the fabulous collection of the world’s most coveted brands. You can’t miss Paul Smith store in West Hollywood, not only because of “Pink Wall” (where you can take some photos) but also because of the unique collection, which you can find on Paul Smith website. I really appreciate your support guys! Loving your travels! I would be in heaven shopping here! 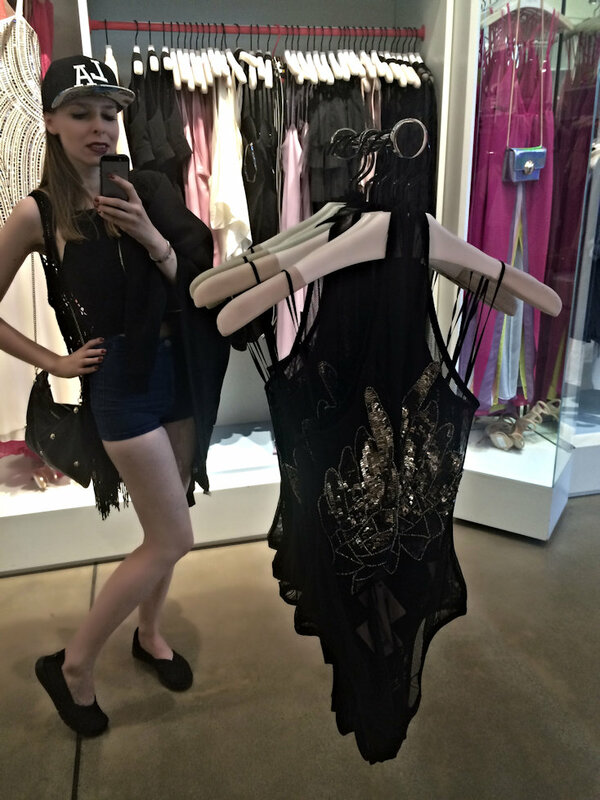 How long were you in LA for and I am so jealous I love Revolve and Nasty Gal – love the snapback too! I was 5 days in LA and 5 days in San Francisco. Have a nice day Ana! What a fantastic experience you’ve had! LA must be so beautiful… I wish to go one day! Those brands are two of my favorites! This is the best place for shopping. I have heard of some of these stores but I feel like to get the true experience I need to shop there and see the pink wall! Seems like you had a lovely time shopping. It is always the best time pass of a girl and something that a girl can wish for. I have never been to LA but would really like to go one day! I have never been to LA but will get there so if things go my way. I can’t even imagine how much fun you had on your shopping trip. I will be going to LA in coming few months. Have pinned your post and can’t wait to check these stores out there! Nice! I hope you picked up some great things. Can we talk about your shorts for a second? Awesome!!! I’ve never been to LA but it sounds like so much fun! Hope you picked up some great clothes. You look stunning, girl! I have never been to LA, but will surely check out these stores when I go there. Loving the look on you! Love your shorts! We plan on roadtripping to California next summer. Cant wait! I haven’t been on a shopping trip in ages. Looks like fun! I haven’t been shopping in forever! Hopefully I can go soon!